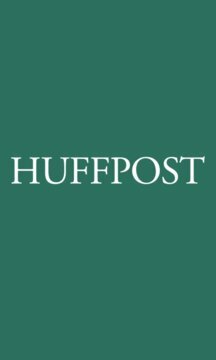 The Huffington Post app brings you up-to-the-minute articles, photos, videos and blogs in a dynamic and personalized experience. By customizing your settings, you can be a part of the conversation on the topics that matter most to you -- from politics, business and technology, to fashion, entertainment, lifestyle and healthy living. 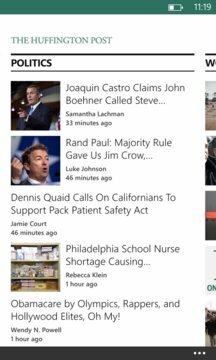 Featuring real-time updates from HuffPost's Pulitzer-prize winning newsroom, the app lets you share your favorite stories with friends in your social networks. Navigate with ease through all of HuffPost’s stories, blog posts, photos, and breaking news from the site’s wide array of sections, including politics, entertainment, comedy, tech, business, sports, books, health, and much more. The news has never been more social; make your voice heard by commenting on articles, and share your favorite stories and opinion pieces with friends, family, and coworkers via fully integrated connections to Facebook and Twitter.